Join us on Monday, April 8 to hear from U.S. Senator Chris Van Hollen. 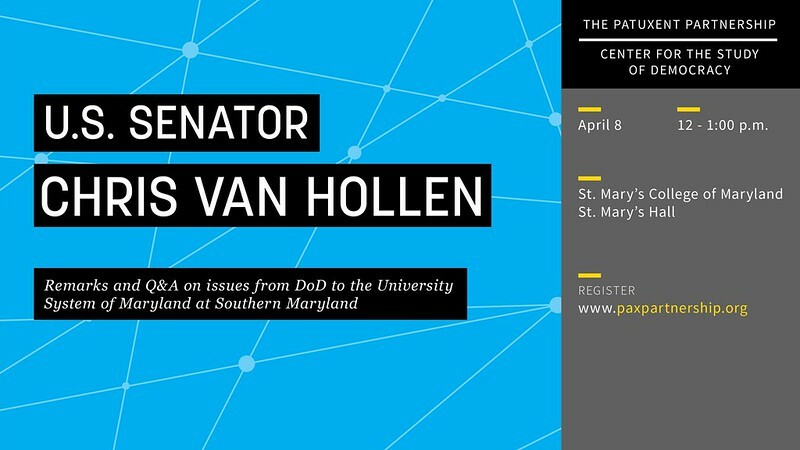 Senator Van Hollen will talk about issues from DoD to the University System of Maryland at Southern Maryland and take questions from the audience. This event is free of charge and open to the public. Registration is free and open to the public, but we kindly ask that you RSVP below. This is an open seating event. Seating is not guaranteed for late arrivals.